For well over a decade there has been an increasing momentum on works exploring the links between theology and the arts. Jazz is one of the themes that continues to show up in these conversations. The origins of jazz are commonly found to be rooted in Christian sensibilities and born out of struggle and suffering though never without hope. Jamie Howison is a priest with the Anglican Church of Canada and is the founding pastoral leader of Saint Benedict’s Table in Winnipeg Manitoba. In this book he opens up the spiritual context of the extraordinary music of John Coltrane. 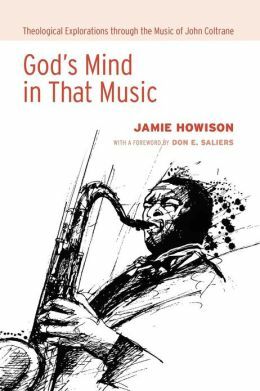 After providing an overview of how he is thinking about theological engagement with music Howison provides a glimpse into the “contested story of Jazz” which serves well as a background for the chapter outlining Coltrane’s life. Each subsequent chapter provides the reader with something like a meditation on the music of Coltrane. These are done with a spirit of great respect and care both for the artist and for the themes taken up in the various compositions. Clearly the author loves this music and is deeply moved by the close knit connection between themes and the music. If you like jazz you will relish this work. If jazz is not in your repertoire this work might serve as an entry point for you to make some new musical as well as theological discoveries.